Most SEO firms focus on a few things; basic code validity, content, and links. But we are different. We specialise in understanding the opportunities provided by getting the technical stuff right. We put a lot of time into research and development to create services that make available cutting edge features to help your online presence stand out. Tracking to me is the number one thing. If you don't know what's happening, you can't know if you have improved anything. You're running blind. Analytical data can provide you with information about visitor activities. Where they came from, where they went, and what they did. 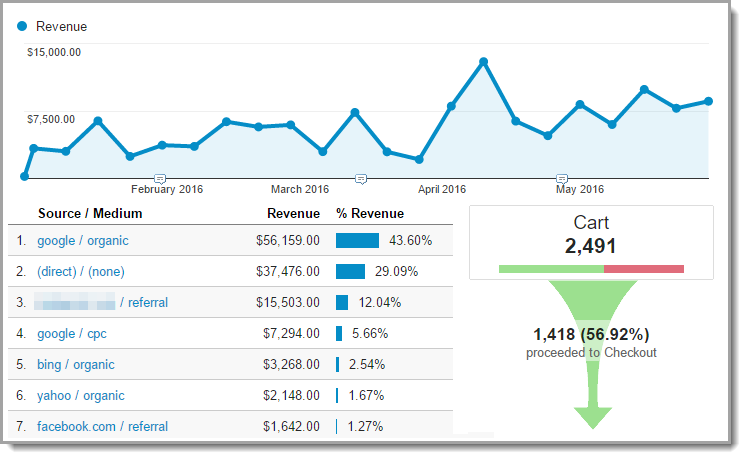 More advanced analytics set-ups can track the goals and sales on a website, including details of the sale such as what was bought and for how much. This data can be tracked all the way back to how the user first found out about you (e.g. Advert, Search, Email Campaign). This is the information you need so that you can constantly improve on what you are doing. e.g. Do you have Analytics set up correctly, and is it tracking all the information that is valuable to you? Some structured mark-up might not have an immediately apparent benefit, but over time we believe Google will be folding more of it into their algorithms, which include current moves towards artificial intelligence. 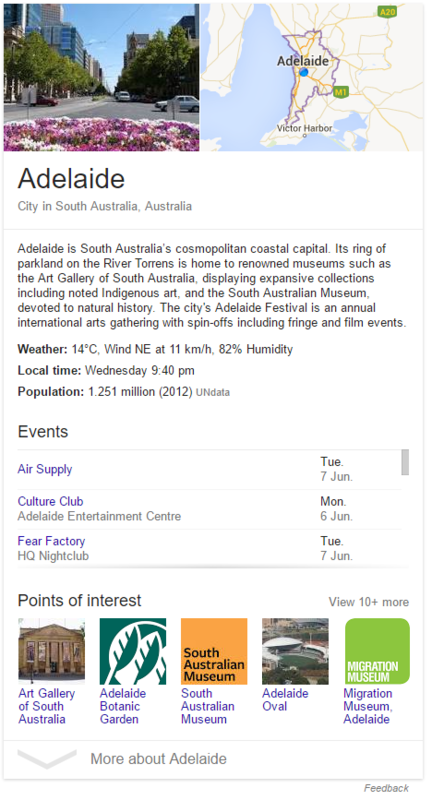 Showing up on the side bar in the knowledge graph is a great way to promote a brand. Another much sought after effect is to get rich snippets in the search results themselves. The most popular rich snippets with our customers is the product review stars. Online stores want their products to stand out, and review stars do that perfectly. Marking up your products to get those stars can be hit and miss. Many plugins or guides provide instructions that break Google's rich snippet policies, and in some worst cases have caused manual penalties. We have successfully implemented review star rich snippets on many sites. It's not 100% as site quality comes into play, but we are close. It's not much use attracting all those visitors if they don't understand your website. If their User Experience (UX) is bad, they will leave to find a better one. Does the website guide people to what they need and you want to offer? Does it make the process of them achieving a goal easy and painless? If the objective of the website is to get the user to do something (contact you, buy something, visit a page) then your objective is to make as many visitors as possible achieve those goals. This is called Conversion Rate Optimisation (CRO). 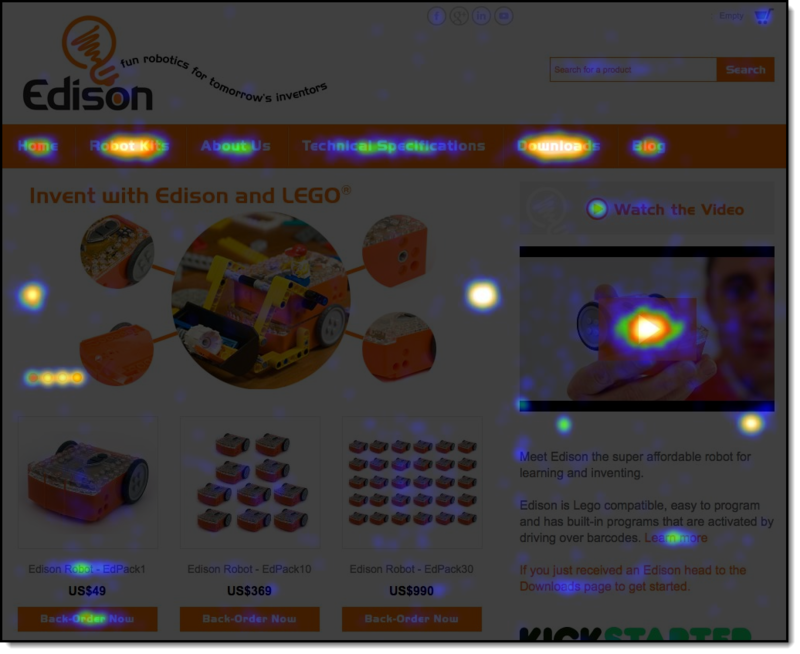 Analytics and other tools like heat maps can help us analyse user behaviour and discover what works well or pain points to remove. Helping more visitors complete those goals. Google, the internet and your website is constantly changing. And that breaks things or makes them sub optimal. Someone should always be keeping one eye on changes and another eye on keeping the website working. Has the website been crawled for errors recently? Is the CMS and its plugins up to date and safe from hacking? Has there been any activity change indicating a new issue? Has all analytics data been checked to see progress, find issues or spot new opportunities? Is the website and database backed up regularly? Quite a few times I have been called in to remove hacks from websites that were not regularly updated. Is your website up to date and secure? Most SEO firms just scrape local ranking data for a few select keywords and watching positions go up and down. For me it's more about discovering what query types are valuable and leveraging off that value. By value I'm talking about identifying what adds to the business. E.g. leads, sales, subscriptions. If you already rank, are there ways to improve on your position? It's more than having a team sending out emails to try and get new links. Creativity is needed to gain high value links. Be it by finding niche opportunities or writing superb content that attracts links. See some top SEOs link audit a website of one of my clients. The website should be designed to encourage links. Does it ask people to share content. If they share it on social channels does it produce an optimal post with the best image, heading and description for that channel (social media structured markup). For bigger brands it's not even about link building, but about link management. Are you annoying and losing visitors because of broken links and missing pages that have built up over the years? Do you know how many links to your website no longer work? What about internal links, are they all still intact? Gathering that data and putting in place solutions can not only improve the user experience, but it also helps ranking. 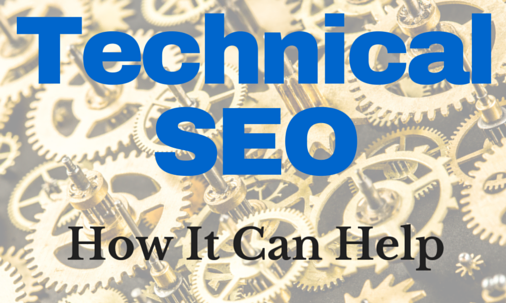 Websites are constantly evolving, and over time new technical SEO issues arise. And in many cases webmasters don't even realise it. The most common one is a site upgrade. This can be quite complex if you don't want to lose ranking or traffic. Even more complex if the move was made with no SEO plan put in place. 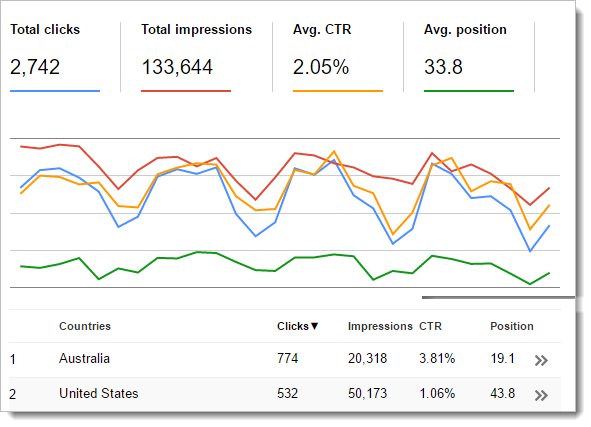 Behind the scenes the Google Ads system provides lots of data and ways to manipulate it. You can even link it with your analytics and automate activities via scripts. Some campaign types can be quite complex. Dynamic Remarketing pulls in many Google Ads features into one campaign (Shopping merchant feed, remarketing lists, extended tracking code, dynamic ads), making it quite hard to set up correctly. There is also advertising on Facebook or Twitter. Both provide unique opportunities to make the right people aware of what you can offer them. But back to that all important question: how do you know you can trust me? Let's face it; you've probably heard stories of shonky SEO agencies who have ripped their customers off. Or maybe it has happened to you. How can you be confident that I'm the upstanding guy I claim to be? Well, to begin with, I openly share my knowledge and who I am. You can find a range of resources which explain the techniques I endorse both here, and in the many communities where I share my expertise for free (e.g. 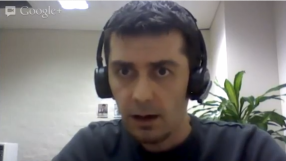 the Google Webmaster Forum Frankly, too many people know my face (and where to find me) for me to dupe them! I also try to make the process as transparent and easy to follow as possible so you understand exactly what to expect. I won't bamboozle you with fancy terminology to make myself seem like some mystical SEO guru, or promise you the world and page 1 ranking in a week. Good quality, white hat SEO can take time. And depending on your industry and market, this can vary significantly. What I do offer is an ongoing, targeted SEO service, tailored for your individual needs. These include regular reports and data to validate the results you're paying for and to identify any issues before they become problems. Contact me if you think that what I offer suits what your business needs.